Forgive me if we’ve met in the past three months and I don’t remember your name—I’ve been on a bit of a whirlwind tour, talking about land access, hosting workshops, and listening to concerns from young farmers and ranchers. At the end of February I made my way from upstate New York to La Crosse, Wisconsin for the annual MOSES conference. In March, I had the opportunity to spend a week in Colorado. And at the end of March I hopped on a plane to Iowa. Although I may not remember the name of every individual I met, I remember their stories. There were stories of heartbreak—a third farm move in three years, off-farm jobs that don’t leave time for farming, organic certification negated by spray drift—as well as stories of success: land made available by benevolent neighbors, successful family partnership, invaluable mentorship, and support from dedicated non-profits. 1) Access to land is within reach; access to secure land is hard. Most farmers I heard from seemed to agree – with some hard work and strategic networking (through Craigslist ads, friends of friends, or letters to landowners) finding land on which to farm was usually not too difficult. Sometimes, bartering for produce could be enough to secure a year’s lease. While none of these opportunities went unappreciated, they often did not provide the security needed to establish and grow a business. Farmers commonly struggled with the inability to invest in infrastructure and build soil quality; burnout from moving their business; and frustration from trying to maintain tenuous relationships with landowners. 2) The opportunity to access land means very little without the ability to access capital. Even if long-term land access opportunities do arise, farmers struggle to overcome existing debt—such as student loans—and to access the necessary financing to purchase a property or otherwise gain control of a piece of land when a long-term tenure opportunity becomes available. A correlated challenge is the inability of farmers to save enough money while learning how to farm (through apprenticeships or jobs) in order to establish their own business. 3) Community connections are key, but not always efficient or universally accessible. Many farmers find land access opportunities through their personal networks. This requires patience, however. Often, a comment to a family member or friend may take months or years to germinate into a land access opportunity. 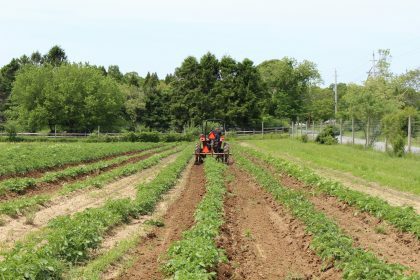 This process is far from systematized, and for farmers who aren’t rooted in a community, it can be particularly difficult. 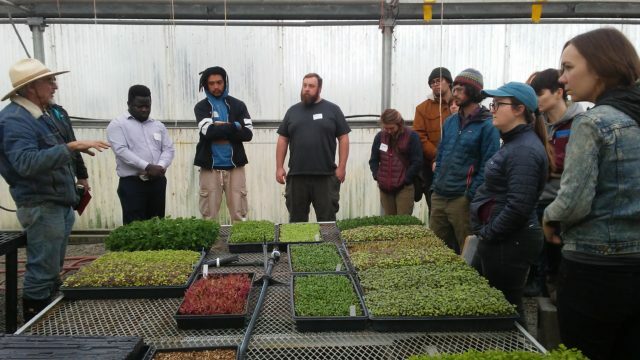 Farmers commented that “breaking in” to neighborhood networks—especially if they were pursuing a type of production, such as organic, that was new to that community—could also be socially challenging. 4) Market proximity, both near and far, can be a blessing and a curse. Market access was mentioned as a key factor in land access. Often, farmers end up buying land far from urban areas because it is more affordable, but that leads to long drives (over 4 hours round-trip in some cases) and the time, labor, and financial burden that comes with that commute. If they do manage to purchase farmland close to the city, farmers often encounter neighbors who don’t react kindly to the smell of manure in the morning, the noise of animals, or what is perceived as disorderly property management (otherwise known as the reality of running a farm). 5) Learning from established producers is invaluable, yet entrenched attitudes and production systems can be barriers. 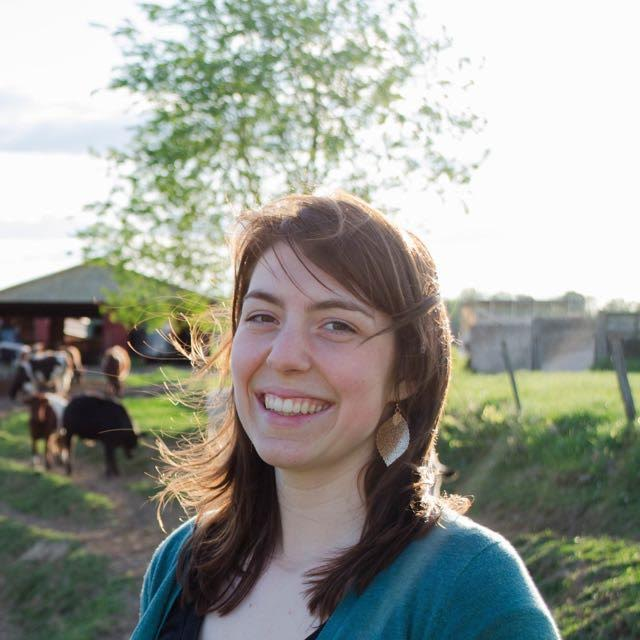 Many young farmers say they received critical mentorship and support from older farmers as they were getting started. 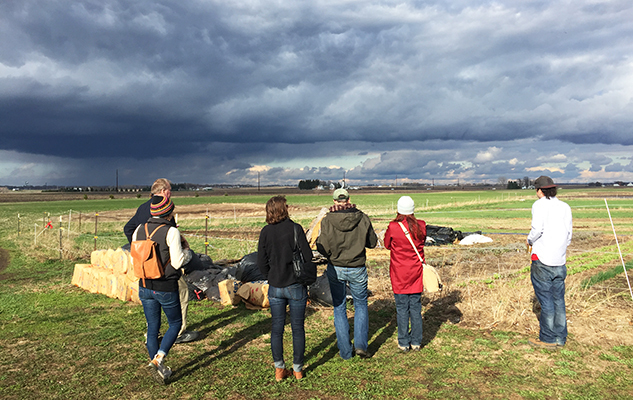 At the same time, young farmers felt that entrenched cultural values encouraged a desire among older generations to hold on to land and keep it in the family, even when that may not be best for the land or the local farming community. This view of land as an asset not to lose often meant that land was broken up among family members, fell out of production, or was only made available through short-term leases. Interestingly, young farmers mentioned their willingness to farm without ownership—meaning the older generation would not have to give up complete control—as long as they felt like their tenure was secure over the long-term and they had some opportunity to build equity in the business. Merging these two ideals, which are not necessarily at odds with each other, seems to be the challenge. Land access is one of NYFC’s main areas of work, so in addition to hearing about challenges, I also asked what more could be done to improve land access . Below are some of the solutions that came up in discussion with young farmers and ranchers across the country. 1) Land trusts and non-profits can help create secure land access opportunities. 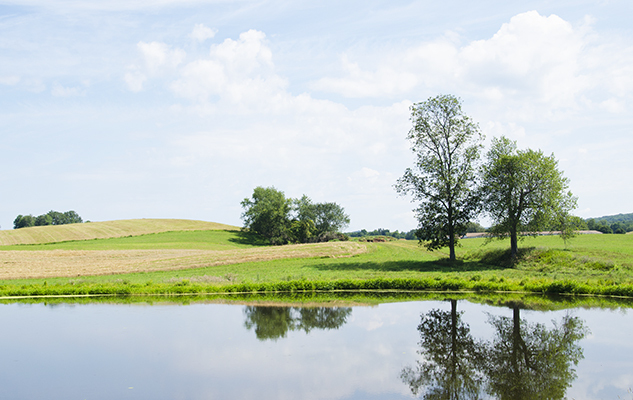 Land trusts can provide affordability and security through easements or long-term leases. SILT is one group working hard to create these opportunities in Iowa, and there are many more organizations around the country that are dedicated to this work. For more information, see NYFC’s guide for farmers on partnering with land trusts, and Equity Trust’s website with model easement and ground lease documents. 2) Government program reform and policies can help address access to capital. NYFC is currently advocating for farmers to be added to the federal Public Service Loan Forgiveness Program, which would allow qualifying farmers to have their student loans forgiven after ten years of income-based repayments. In addition, we successfully advocated for the establishment of the FSA microloan program, which provides more appropriately-sized and easily accessible loans to farmers. We continue to work closely with the agency on other reforms to make its programs more accessible and appropriate for young farmers. NYFC and many other organizations strongly believe that the federal government should fund Individual Development Accounts, which have been authorized but never funded in the Farm Bill, to help farmers save money while gaining business management skills. Groups like Practical Farmers of Iowa offer their own version of this, which has been extremely helpful to local producers. 3) Organized local communication & education. While federal policy change is important, communities shouldn’t lose sight of the potential for change on the local level. In the words of one of the farmers at our Wisconsin roundtable, we need to find ways to encourage “productive conversations within communities to tackle issues of farmer financial viability, land use, and local food systems at the local level.” What this farmer, and many others, are suggesting is that farmers depend on their local community and that community members value what farmers provide them: good food and open space. This beneficial relationship must be cultivated, however, and long distribution chains, lack of education about farming, and poor communication can all get in the way. 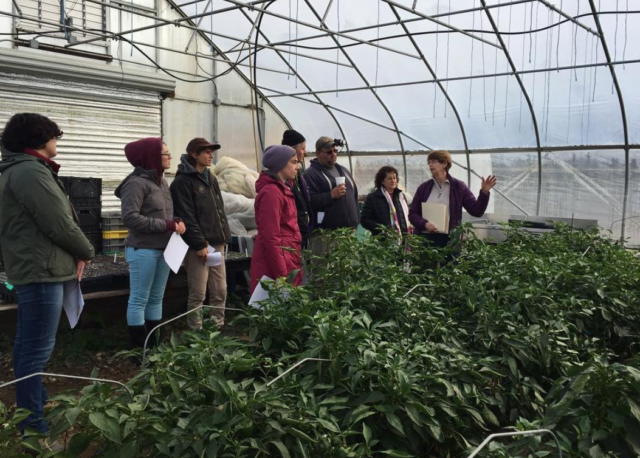 Food policy councils, which exist in communities all over the country, are one possible avenue to facilitate these conversations. 4) Cooperation & peer support. Farmers suggested shared infrastructure, such as food hubs and distribution cooperatives, to help reduce the financial burden on farmers in their first years and make operations more efficient beyond that. Cooperative efforts can also be an effective strategy for gaining access to land. 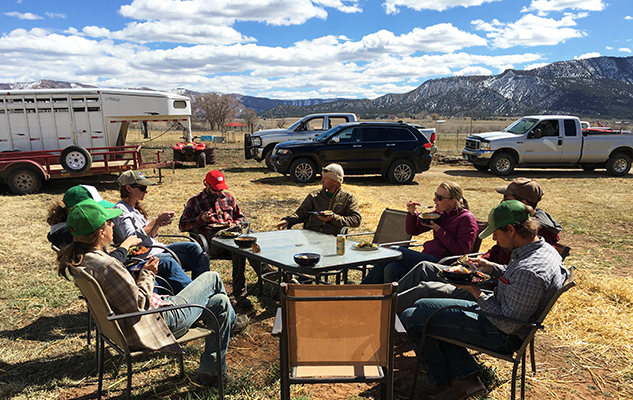 Check out this guidebook written by Faith Gilbert on cooperative farming and the Poudre Valley Community Farms initiative in Colorado. 5) Policy advocacy. Get engaged! Join groups like the National Young Farmers Coalition and many others that are advocating for farmers’ needs in policy. Want to add your own thoughts to this conversation? If you’re a farmer in the Midwest, one way to help us make your voice heard on the issue of land access is to take our survey. Thank you to the National Sustainable Agriculture Coalition and Cedar Tree Foundation for supporting our land access program!